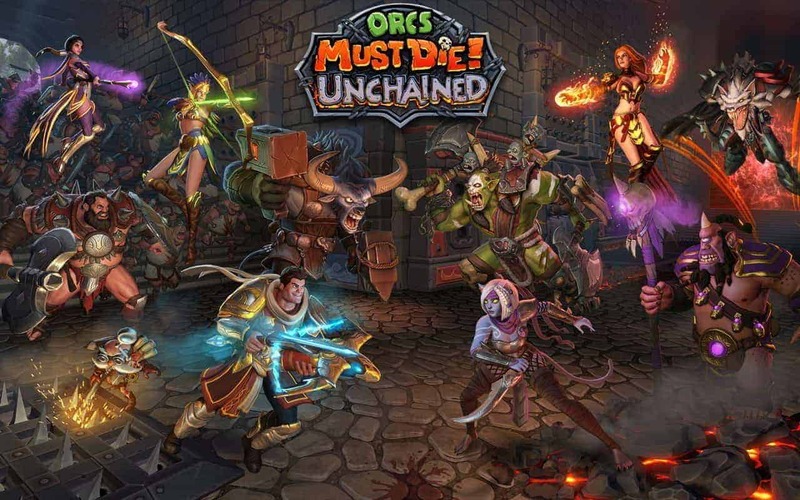 Robot Entertainment have released the latest update for Orcs Must Die! Unchained, introducing a brand new character, an exciting series of events and mini-games, and a selection of new styles and costumes for previously released heroes. Patch 1.7 introduces the Apprentice into the MOBA-esque mix with an exciting blend of magical ability including the power to harness fire, frost, arcane and lightning infused abilities. However her great power comes at a cost as she’s not quite mastered the ability to choose the elements at will, challenging players with a random yet rewarding mechanic. Halloween may have come and gone but nobody told Ball-and-Chain who is proudly displaying her new snake bikini while other heroes, including the Ancestor, Temper and Prospector also bring a new style to Orcs Must Die! Unchained. The developers have also introduced new tools to allow players to better gauge the potential and success of their decks. A new in-game option is now available that displays score lists helping players to get a visual rating of their ability to push or repel enemy forces. The introduction of Patch 1.7 marks the end of the first phase of closed beta which means players can expect minimal patches and updates until the launch of phase 2 in February. However, the developers have assured players that updates following the launch of phase 2 will be heavily focused on introducing features and mechanics that the community have put forward.